Add crystalline faceted beads to predrilled earrings with simple loops and a wire wrap. 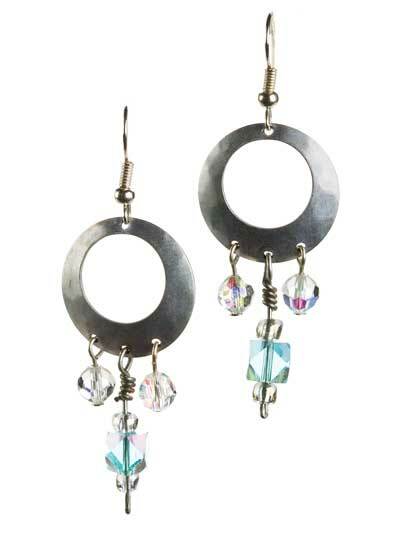 The sparkling dangles will add a touch of drama to your wardrobe. This e-pattern was originally published in the February 2009 issue of Simply Beads magazine.